Welcome to these new Hatha Yoga Mini workshops! They have been designed by Petra Buttinger for beginner yogis, as well as regular practitioners who wish to deepen their knowledge on traditional hatha yoga practices including and beyond asanas! ¿How are the Hatha Yoga Mini workshops? Furthermore, we analyze one asana per week in detail, so you can apply and practice this new approach during your regular practice. How can I attend these Hatha Yoga workshops? 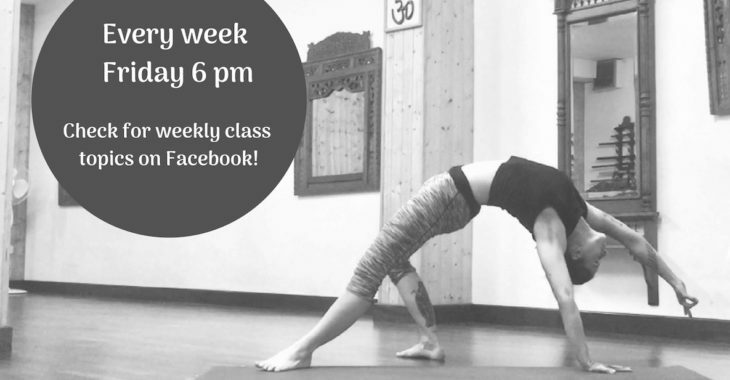 – if you are one of our students, this could be one of your weekly classes, also you can use one session from your Yoga bono. Or simply add this class as extra for €10. – occasional student: 10 €.